Electricity is very dangerous, that is why it takes so long to become a Journeyman electrician. You must learn how to safely install conduit, complex wiring systems, and lighting fixtures in residences, factories or commercial buildings. After installation, you must test everything you have just installed to make sure it is safe and in proper working order. Sometimes you may be required to troubleshoot electrical systems to pinpoint where the problem may be. Before being allowed to work on your own as a Journeyman, you must work for three to five years as an apprentice, under the supervision of a master electrician, as well complete many hours of technical coursework. During your third or fourth year as an apprentice, you may be allowed to help supervise other apprentices and journeymen with less experience. Many jurisdictions require a Journeyman to become licensed, by obtaining electrician certification. This means you will have to write an exam, to prove that you have learned all of the required material, and are ready to work as a qualified Journeyman electrician. This exam is not nearly as intense as the Master’s licensing exam, but it may test many of the same skills and knowledge. 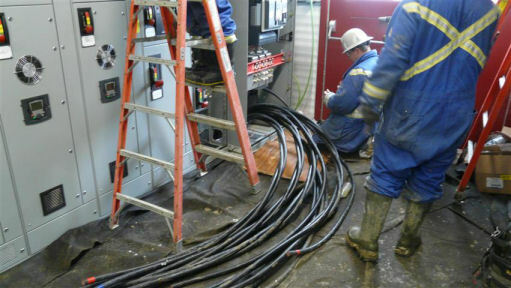 A Journeyman works on various electrical systems. This could mean installing new systems, or troubleshooting and repairing or replacing old systems. These may include simple or complicated lighting systems, mechanical connections, telecommunications, power supplies and security systems, in residential buildings, commercial buildings or factories. 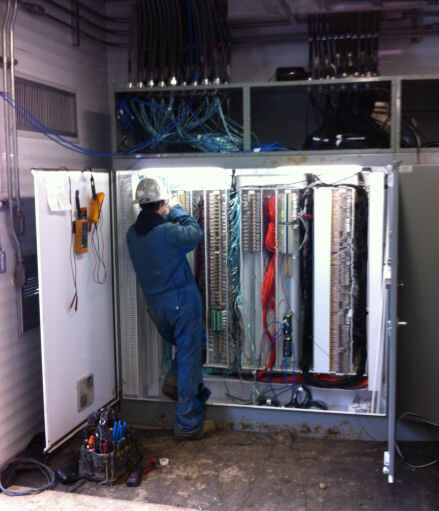 Some Journeyman electricians work for the city or county. These are the electricians who take care of the power we depend on in our everyday lives. They take care of the street lights, traffic lights, overhead lines, the power that runs to residences and the power supplying businesses. When there is a power outage, these are the electricians who are called out, any time, day or night. 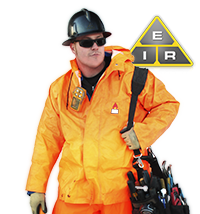 City electricians often have to work in the rain, snow, or extreme heat. They have to go where the problem is. In fact, very few electricians work in just one location. Electricians who work only to maintain the power and equipment in one particular factory do generally work in the same location all the time. But the majority of electricians have to go to a job site. Typically construction electricians have steady hours for the duration of each job, but they tend to be long work days. Some shifts might be ten days on, four days off for 12 hours a day; some may be 21 days on and seven off. The main downfall is the reliability of future jobs arising. Construction electricians may only work six months of the year, but still make a full year’s worth of wages. Residential electricians have to go to the homes of the people having the electrical problem. In some cases, this may be an apartment building or a townhouse complex. Utility workers have to go wherever the problem is. This could be in the middle of a busy intersection, or a hundred miles out of town. Some of this traveling to the location of the problem can often stretch a work day by several hours. An extremely complicated repair can also make for a very long work day. You cannot just drop what you are doing and go home. You have to make sure the power is restored before you can leave. But generally you will only be required to work normal working hours. There are a few different paths you can take on the road to becoming a Journeyman electrician. You have to do the coursework and you have to complete your apprenticeship. But you can do this in different ways. The most common path is to apply to a Journeyman electrician apprenticeship program. These are sponsored by various unions and technical schools. Once accepted, you begin training with a Master electrician. Since you will be working full-time, you have to make time for the coursework. Both the apprenticeship and coursework must be completed successfully before you can write the final exam. Another path is to study the trade at an electrician school. These programs are generally less than a year long, and are designed to teach you both the technical parts and the practical parts of being a Journeyman electrician. The hands-on portion is not as intense as working as a full-time apprentice. That is why most companies will require you to work as an apprentice for a few years after they hire you, before trusting you to work alone. 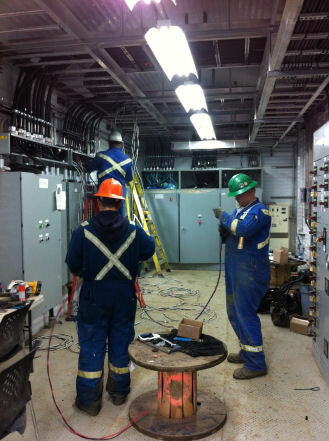 A few fortunate individuals have the opportunity to work as an electrician’s helper. This is similar to an apprenticeship program, except your chances of being taken on as a fully-fledged electrician after passing the final exam are much greater. You still have to complete the necessary coursework and write the exam. The biggest differences between these paths is money. An apprentice gets paid apprenticeship wages the entire time he is learning. He may have to pay a little for the coursework and the final exam. He makes valuable connections with professionals in the field, and has a good chance of securing full-time employment. A trade school student has to pay for his training. He can only start to earn wages after he has completed all of his studies. He does not have any connections with professionals in the field. This makes finding a job more difficult. The electrician’s helper gets paid during his training. He was hired as an electrician’s helper, so his wages may be higher than that of an apprentice, but not necessarily. In most cases, the electrician he works for is an independent contractor. This means they will likely form a very close bond; his chances of being hired on as a Journeyman electrician or maybe even as a partner later on are very good. All paths lead to a career as a Journeyman electrician. You choose which path is right for you. In my attempt to help you find your perfect job, I've partnered up with Indeed Jobs. If you take a look to the right, you'll see electrician job listings in your local area. Just click on any link that looks interesting! ...or use the search box to find something more specific. Electrician Jobs - Your guide to scoring your first job, and potential career paths.